The school does not routinely acquire new portraits and as we already have five paintings of Dr Busby in our collection (along with a bust and countless engravings) another picture of the great Head Master was not high on our priority list. However, when this painting came up for sale at a small auction house in Cockermouth, Cumbria, it was rather a special case. 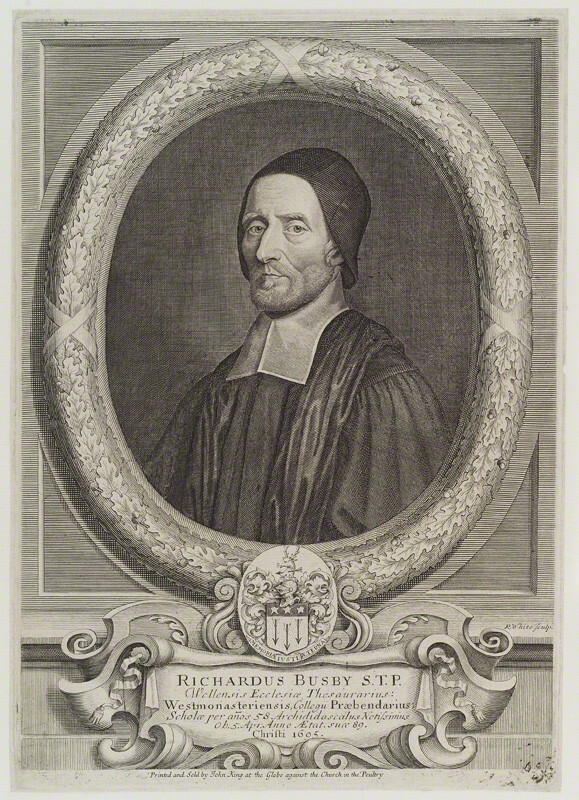 All the other portraits we have of Dr Busby seem to be copied from a single master picture painted by Henry Tilson in 1695 which is at Christ Church. 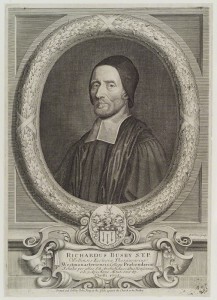 Robert White then created an engraving of Tilson’s painting which was extensively reproduced. Our new picture of Dr Busby shows the subject as a much younger man, with distinctly brown eyes (rather than the blue of other portraits) and wearing a different style of collar and gown. 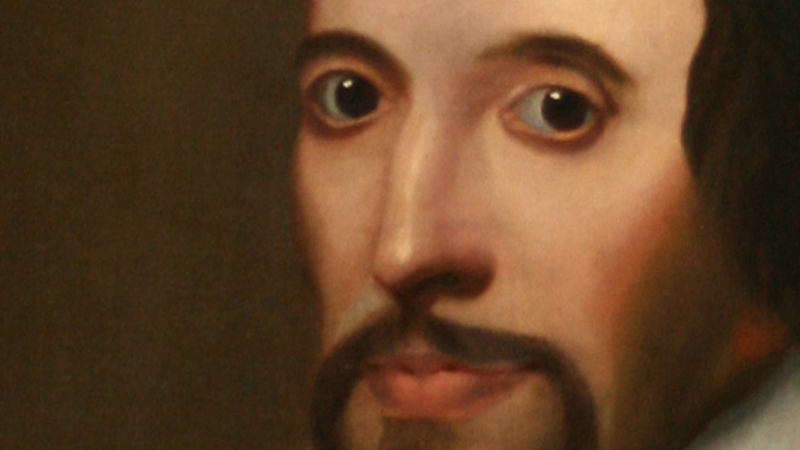 It is probably unlikely that this portrait was painted from life. Dr Busby’s year of death is painted in the top left corner, although this could have been added at a later date. Stylistically it is more in-keeping with the portraits of the late 16th and early 17th Centuries. 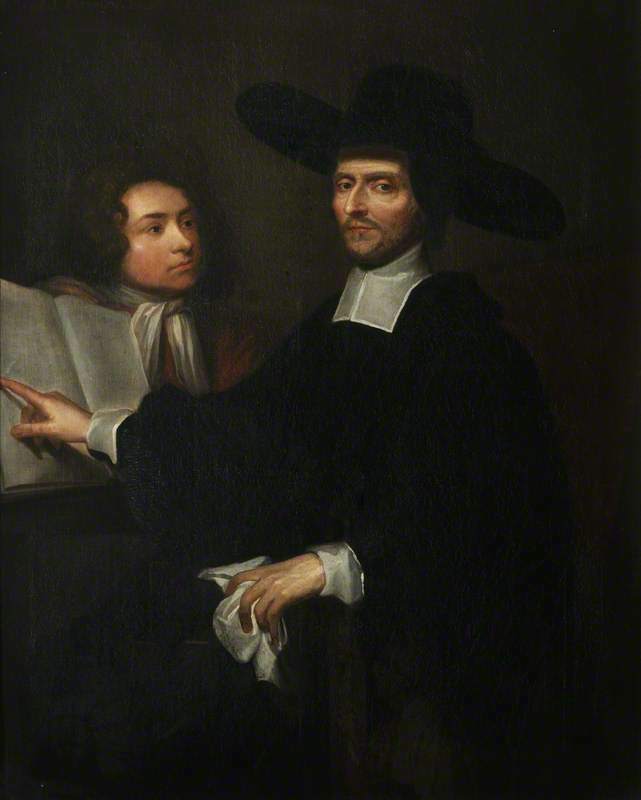 However, it is worth remembering that Dr Busby was in his early 30s when he was appointed Head Master of Westminster School and this painting is therefore a more accurate representation of how he would have appeared during the 1640s. It is unclear whether Dr Busby was painted in his lifetime. 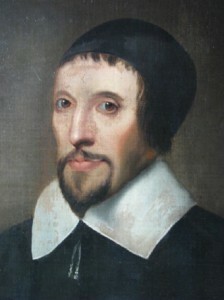 Anthony Wood, author of Athenae Oxonienses: an exact history of all the writers and bishops who have had their education in the University of Oxford wrote ‘Busby never permitted his picture to be drawn. The moment he was dead, his friends had a cast in plaister taken from his face, and thence a drawing in crayons, from which White engraved his print and Bird carved his image’. However, Anthony Wood did often make errors. 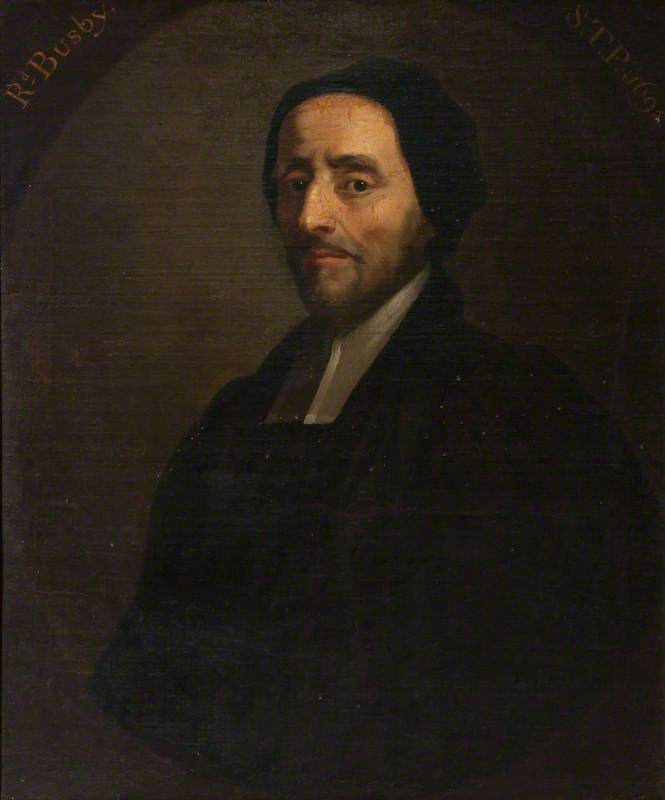 Another famous painting of Dr Busby, also at Christ Church, is said by some to have been painted by John Riley who died in 1691, four years before Dr Busby.